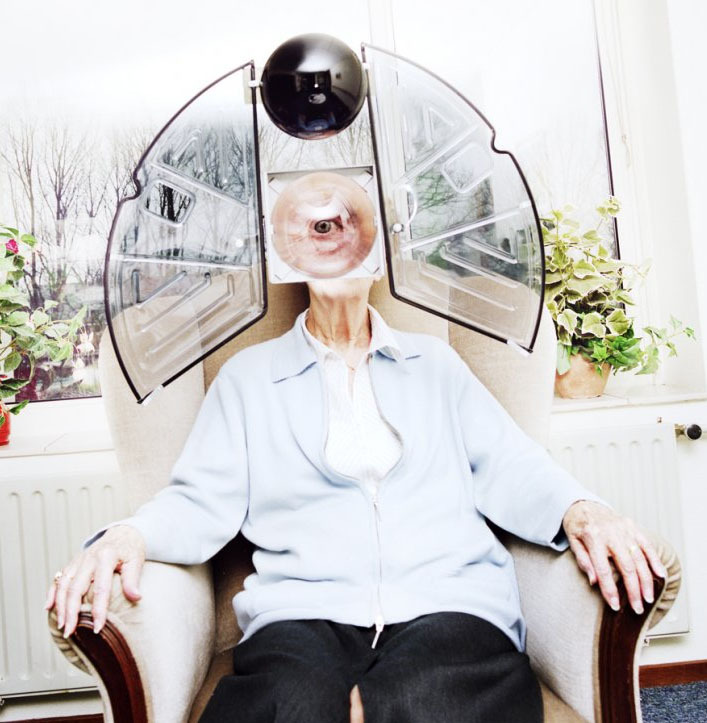 Recently, I’ve mentioned to my future-industrial-designer-daughter Daniela that I believe there will be a great demand for smartly designed, affordable gear for the elderly in the not-so-distant future, with everyone living longer and the price of healthcare increasing while insurance coverage declines. Clearly, Dutch photographer Arjen Born feels the same way. These photographs are at once comical and moving. 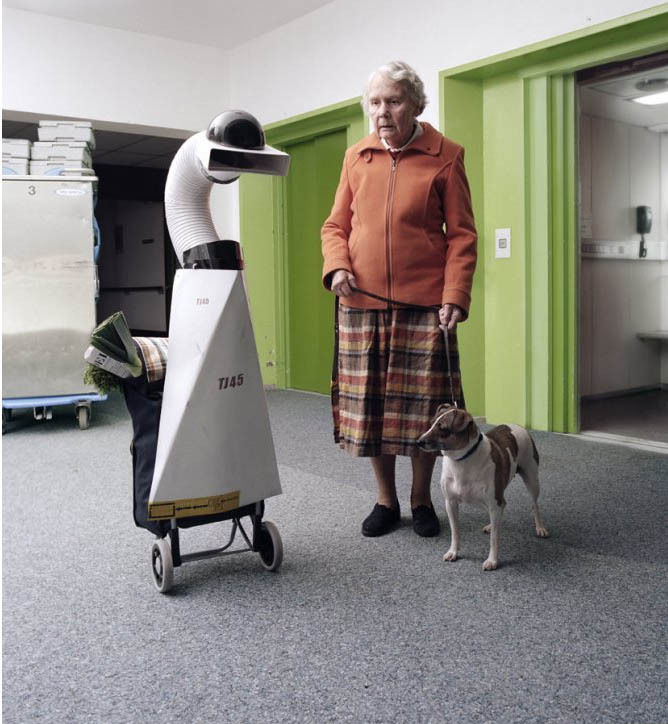 They envision health aides of the future as robots or contraptions that assist. I’m assuming that Born creates these humorous ‘prototypes’ himself judging from the name header on his website. This entry was posted in Art, Industrial Design, Interaction Design, Photography. Bookmark the permalink.